The Williams Bluebird XD is the latest in WMS “cross-over” cabinets. 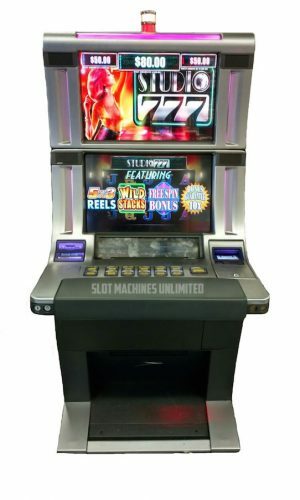 This cross-over cabinet provides the comfort of a slant top with the convenience and footprint of and upright slot machine. This is great for both player and operator. 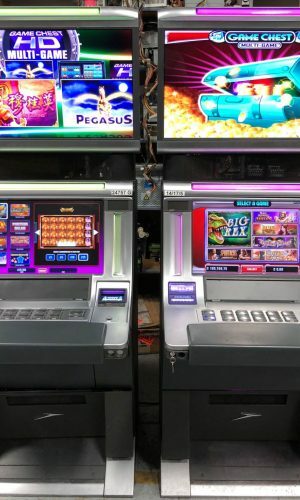 The player gets the benefit of all the added comfort while the operator can place these cabinets without losing valuable floor space. The WMS Bluebird xD also shares all the same great features of the Bluebird 2. The WMS Bluebird xD comes standard with next generation Bose audio system, dual 22″ widescreen high definition displays, and a dynamic and fully programmable button panel. 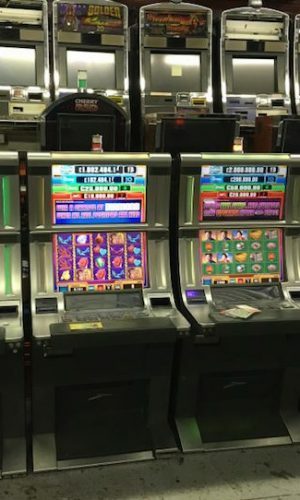 Here at SMU, the new hot item lately has been equipping the WMS Bluebird xD cabinet with the WMS Blade CPU NXT 3.2 board. This allows for all the cutting edge Blade game themes to be used. It allows players the chance to play some of the hottest game themes like OMG! Kittens, Gorilla Chief II, Montezuma, and many more. CPU NXT 3.2 board quantities are limited and will be sold on a first come first serve basis.